Heroes on the internet: Xenu, Mozilla and "Bob"
Does "Tilman Hausherr" mean anything? Find broken links on your site with Xenu's Link Sleuth! Scientology claims to be "the world's largest mental health organization". What it really is however, is the world's largest organization of unqualified persons engaged in the practice of dangerous techniques which masquerade as mental therapy. 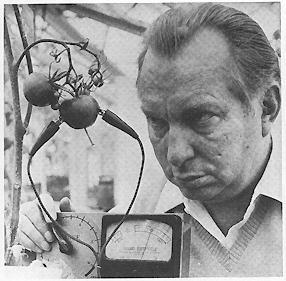 Scientology is evil; its techniques evil; its practice a serious threat to the community, medically, morally and socially; and its adherents are sadly deluded and often mentally ill.
Scientology is a form of pseudo-science invented by the mediocre late science-fiction writer Lafayette Ron Hubbard (here is his picture). Scientology claims to make people more able to communicate; but after taking their courses, you'll find out that it will only help you to communicate inside Scientology. It claims to be compatible with other religions; but as you progress, you will have to accept that Elron Hubbard denies JC's existance (also here with more context). It first came up as Dianetics, but Ron got in trouble soon, for teaching medicine without a license. After (temporarly) losing the rights for Dianetics to one of his investors, he founded Scientology, and declared it a religion for financial and legal reasons. Religions don't pay taxes, and they don't have to prove anything. As early as 1968, a magazine called Scientology a menace to mental health. Here a description of Scientology by ex-member Martin Hunt. Scientology is very expensive; a father who didn't want to pay for the "services" of his son received a threatening letter written by Reverend Andrew Bagley, a Scientology official. Recovery takes long and is very difficult. The title of this paragraph comes from the excellent and award-winning article in TIME magazine called The thriving cult of greed and power, written by Richard Behar. Will the following become true? "First the Scientologists went after their ex-members, but I ignored it, because I had never been a Scientologist. Then they went after the "squirrels" [Scientologists who practice outside of Scientology], but I ignored it, because I wasn't a squirrel. Then they went after the psychiatrists but I didn't care since I never needed a psychiatrist. Then they went after the journalists but I didn't speak up because I wasn't a journalist. Then the Scientologists went after the Christians but I didn't speak up because I was an atheist. Then they went after me, and no one was left to help me." The meeting place of Scientology critics and a few Scientologists is the USENET newsgroup alt.religion.scientology. See the list of frequently unanswered questions to find out what questions Scientologists evade most. If you have problems with your news provider, you can still read through Google Groups (allows searching the whole usenet for people and topics!). Scientology has in the past arranged the cancellation of usenet articles it didn't like. But not every article that disappears has been cancelled by Scientology. So before complaining, read the Disappearing Articles FAQ. Scientology always considers critics part of a giant conspiracy, controlled by psychiatrists, bankers, communists, fascists, the Smersh (Yes, really! The organization fought by James Bond), the CIA, the BKA (german equivalent of the FBI), the Max Planck Institute or just space aliens. The solution was to declare war against the internet, and as expected, this is backfiring, because more and more information resources are becoming available. Considering Scientology? Ask Wendy's questions first. The Lisa McPherson Memorial Page: find out why a beautiful young Scientologist woman was left to die while being nibbled on by cockroaches while under the 'care' of her fellow Scientologists. Chris Owen: Scientology audited, has government reports and his own research articles, including Scientology's fight for apartheid. Also hot is his collection of documents about Scientology's Secret Service, the so-called Guardian Office, which still exists today, but under a new name. alt.scientology.war, an article by Wendy Grossman, printed in Wired. Free Speech & Copyright Infringement on the Information Super-Highway, an article by Jim Lippard and Jeff Jacobsen, printed in Skeptic magazine. Steve's UK Scientology Information page. Ted Mayett's picket page. Great design by ethercat! Here a photo from the LA picket in March 1998 where I participated. Jim Lippard's Information about Scientology's private investigators. The Lisa Clause: Scientology trying to kill again "legally"
I took over Ramon Kolb's page about Boston University and Scientology. Boston University had Earle Cooley, one of the most infamous Scientology lawyers, as Chairman on the Board of Trustees. Yuk! Karin Spaink: I write therefore I am: about the Dutch protest against Scientology. Russell Miller's The Bare-Faced Messiah: Scientology unsuccessfully tried to stop the book in the UK, but was partly successful in the US. Because of that, the US Copyright law was later changed. Cyril Vosper's The Mind Benders: he alleges that a copy of his manuscript disappeared from his lodgings, and, while on holiday in Spain, he was questioned by the police when they opened a parcel addressed to the place in which he was staying, containing obscene caricatures of General Franco. Robert Kaufman's Inside Scientology: Or How I Found Scientology and Became Superhuman: this was the first book that revealed OT 3. Stewart Lamont's Religion Inc.: The Church of Scientology (also here: this book has a special flavour because Scientology tried to "support" the author, who had (and used) a unique opportunity to see through some of their propaganda by comparing it with the actual facts. Jeff Jacobsen's page has his article The Hubbard Is Bare that explains where L. Ron Hubbard got some of his ideas for Dianetics and Scientology. His tale of two CDs is a good example of legal abuse of the law by Scientology attorneys. I took over Brett Achorn's hard data pages on Scientology: where entities are opening, where they are closing. He named it the 0% opinion page. I name it the 0% expansion page. the cult made the unwise move to harass a Dutch internet provider. Also read about the TV shows covering the issue. Jeff Lee's Scientology page. The best is Visit to Clearwater and NARCONON. That well sourced Wikipedia article was deleted four times. Mathieu Cossu's Hubbard Dianétique Scientologie Danger Secte ! L'ORGANE, a french webzine, had five articles on Scientology in its first edition ! The American Family Foundation (AFF), and the latest edition of The Cult Observer, a collection of newspaper articles about cults. reFOCUS Network: Recovering Former Cultists Support Network. The Resource Center for Freedom of Mind, by Steve Hassan, author of "Combatting Cult Mind Control"
Mike Doughney's Meditation Information Network. Mike Doughney's Ex-Cult archive for the newsgroup alt.support.ex-cult. Dialog Center International: This Christian network with units in 20 countries informs about the true nature of "New Religious Movements". The Watchman Fellowship is a conservative Christian answer to cults. Spiritual Counterfeits Project: SCP is a resource to provide a biblical perspective on new religions and spiritual trends. Sadly they endorse Marty Rimm (bogus "Cyberporn" study) and creationism. Prof. Dr. David Lane's neural surfer is about Radhasoami, Sant Mat, Shabd Yoga, Eckanckar, the Development of New Religious Movements in North America and much more. It contains also several books he wrote. Xenu is a sort of devil for customers of the Scientology cult. Since the world of Scientology is quite similar to George Orwell's 1984, you can compare L. Ron Hubbard to the Big Brother, and Xenu to Emmanuel Goldstein. Xenu has web pages in Germany and in Norway. Jerry Ladd researched about Xenu and came up with a different explanation. According to him, Xenu was good, but an evil guy with the name "Phatmanotoo" framed him to cover up his failure in nuclear science class. He created the Knights of Xenu, a loose community of good people. There's no sign-up, no contract; just affix KoX to your signature and you're in. Steve Fishman's daughter Elysia presented Xenu as work for her creative writing class, but got only a B+ because her teacher considered it unrealistic! Mozilla ist the little green monster from the Netscape Corporation. For some time, he vanished from their home pages, so I built the Mozilla Museum. Visit and enjoy! J.R. "Bob" Dobbs, the mighty pipe-smoking salesman, is discussed in the newsgroup alt.slack, which is for members of the Church of the Subgenius, and he preaches Slack ! Read all about the weirdest cult ever. Also read the success stories of some SubGenius parishioners, who have improved their life thanks to DobbsThink [tm]. On August 5th, the world ended - not! It does. "Tilman" has anglo-saxon origins and means "a suitable man, a warrior". I am rather a desk warrior. Judge yourself if this is true. "Tilman" is often misspelled, because other guys are named Tilmann, Tillman or Tillmann. It is sometimes also used as a last name. My first name was given to me after they thought about Tilman Riemenschneider, a german sculptor. "Hausherr" is a German word and means "The master of the house". The word is also used to mean the "host". It is pronounced like the english words "House hair". If you like the name, then visit the Tilman link page. What's in a name, and why does a name tell a lot about your parents? Read chapter 6 of Freakonomics. And don't name your child Kevin. From time to time, Scientologists allege that critics are paid by evil people to destroy other people's religions. First, unlike many cults, Scientology is not a religion, but a business; second, critics not only do it for free, but even pay for it: with less free time to watch TV or read a book. I did a lot of server-related development on UNIX in the 90ies, and became somewhat disillusioned due to the poor reliability of this OS (this was before LINUX became widely popular; bugs sometimes took years to be fixed! ), and concentrated on Windows client applications with Microsoft Visual C++ and their really cool and powerful foundation classes (MFC). I make a better living from it than these two. Since 2005, I've also done some work with Java, JSTL and Tomcat. I have used MySQL and Oracle databases, including PL/SQL. Around 2011, I started using Apache PDFBox. Unlike earlier experiences with open source communities, questions were not answered with insults, so I kept using it and even wrote improvements that ended up in the official code, like this one (about Gouraud shading, a 3D technique invented in the 70ies but still relevant!). My experience with Apache projects is that they seemed to have a friendly attitude. I learned a lot in the PDFBox project, despite being neither a graphics developer nor a math expert (although I best in school in math, but forgot all over the years). In 2014, I was invited to become a committer (i.e. have write access on the source code). In 2014 and 2015, I mentored students as part of the Google Summer of Code program. I've also done some minor work for MediathekView and one bugfix for TVBrowser (both great projects!). If you feel you must send me a PGP-encoded message because you feel under surveillance, go ahead. But do it only if it is really important and confidential. A message like "Hi, Tilman, what's your opinion about this topic" isn't! Willkommen in der deutschen Abteilung. Jetzt in der vierten Auflage! Auch als CD-ROM erhältlich! Eine technische Beschreibung der Software LEXIKON befindet sich hier. Man beachte, daß das Copyright für die Software nicht bei mir, sondern bei Prof. Dr. Schneider liegt. Meine Hauptarbeit bestand in der Software und deren Wartung. Die vierte Auflage erschien im Oldenbourg Verlag 1996 pünktlich zur Frankfurter Buchmesse. Und am 25.10.1997 lag die CD-ROM in meinem Briefkasten! Buch und CD kann ich empfehlen - die CD-ROM jedoch noch etwas mehr, da das Buch recht schwer (Stöhn!) ist. Ich habe damals auch die Gelegenheit ergriffen, selbst einige Definitionen beizutragen. In der LEXIKON Software verweist ein Teil der hier kursiv gedruckten Wörter auf andere Definitionen. Aus Copyright-Gründen sind diese Links hier jedoch nicht implementiert. Die hier folgenden Definitionen entstanden (vor dem Erscheinen auf CD-ROM) aus der Ausgabe für den Lichtsatz, wobei die Steuerzeichen hier durch geeignete HTML tags ersetzt wurde. Zwischen 1993 und 1995 hatte ich mir ein seltsames Hobby zugelegt: Zaubertricks entschlüsseln. Mit einem Videorecorder ist dies gar nicht so schwer, auch David Copperfield ist leichte Beute. Die Erkenntnisse habe ich in einem Dokument zusammengefaßt. (Ist allerdings seit 1995 nicht aktualisiert worden, obwohl ich dazugelernt habe) Inzwischen sind Diskussionen zu diesem Thema endlich auch öffentlich möglich, Näheres dazu hier. Frank Pronath, ein geschätzter "Mitstreiter", hat inzwischen auch ein Dokument online. Es ist unzulässig, unverlangte Werbung an diese Adresse zu senden! Hinweis gemäß §5(1)5b TMG: Die Berufsbezeichnung Diplom-Informatiker wurde mir in Deutschland verliehen. Ich distanziere mich ausdrücklich von allen Links zum Landgericht Hamburg.